Thanks to a generous gift from a New York couple, a cable car line will once again transport citizens and tourists to a favorite weekend destination. 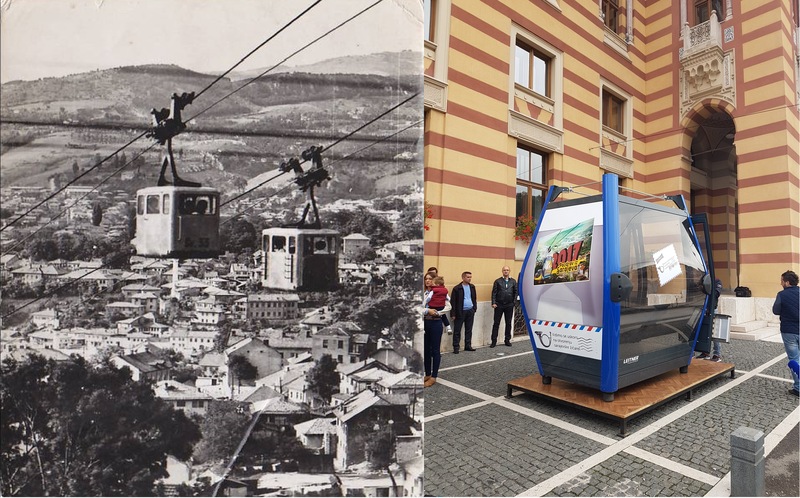 From 1959 to 1992, the cable car in downtown Sarajevo, the capital city of Bosnia and Herzegovina, was a favorite destination for citizens and tourists alike. It quickly carried people up the steep slopes of Mount Trebević, where they could breathe fresh air, have a family picnic and enjoy breathtaking views of the surrounding area. With its rich and rare flora and fauna, Mount Trebević is a source of pride for the citizens of Sarajevo, who view it as an exceptional natural resource that should be preserved for future generations. Trebević was one of three mountains used for the 1984 Winter Olympics. It featured a bobsled track, restaurants and warm-up huts, all easily accessible from downtown via the cable car. However, during the Bosnian war, which took place from 1992 to 1995, the cable car and most of the attending infrastructure were destroyed. That changed when New York residents Eddy Offermann and his wife Maja Serdarevic set up a donor-advised fund at KBFUS to restore the historic and beloved landmark. Their recent donation of US$ 3.9 million will give the mountain back to the people of Sarajevo and help rebuild the trust that was broken during the brutal war. Cable-car operator Ramo Biber was the first casualty during the Sarajevo siege. Paramilitary forces were ordered to burn the cable car hill station to the ground. When Biber denied them access, he was executed. The City Council will honor his actions with a commemorative plaque, and is considering naming the station after him. In the fall of 2010, Offermann began to look at ways to restore the line. One avenue he explored was purchasing and relocating a cable car that was being removed from a neighboring town. However, after several years of negotiations, that plan fell through for complex political, economic and safety reasons. He and Serdarevic realized that the only realistic option was to buy everything new and start from scratch. They agreed to cover the expenses for the new equipment on the condition that the government would provide the land, construct the necessary buildings, remove the old cable car infrastructure, and install the new. The cable car will be up and running in September of 2017. It will significantly reduce the car traffic on the mountain, which will increase the ecological and sustainable use of natural resources and help preserve the environment. At the top, a new city-owned restaurant will be built where people can enjoy local fare. The revenue from the restaurant will help pay for the maintenance and upkeep of the cable car and infrastructure. Because of his generous gift, Offermann officially became an honorary citizen of the city of Sarajevo in March 2017, the highest honor a foreign citizen can receive.